A swashbuckling hundred from Sol Budinger, strong contributions from Chris Gibson, Jake Libby and Jordan Cook and two wickets from Lyndon James saw the Academy dominate the first day of their friendly against Lincolnshire MCCA Development. Notts, put into bat, lost James early on but Gibson (49) and Libby (35) shared in a 69-run second wicket stand to push the score up to 80-1. Both fell in quick succession shortly after and first-ball ducks for Liam Patterson-White and Joey Evison left Nottinghamshire on 124-5. However, Budinger allayed any fears of a small total as he flayed the Lincolnshire attack to all parts of Sleaford Cricket Club, racing to his fifty off just 49 balls. That quickly became a century off 86 deliveries despite losing Callum Metcalf as Cook (37) joined the left-hander for a 115-run seventh wicket partnership. 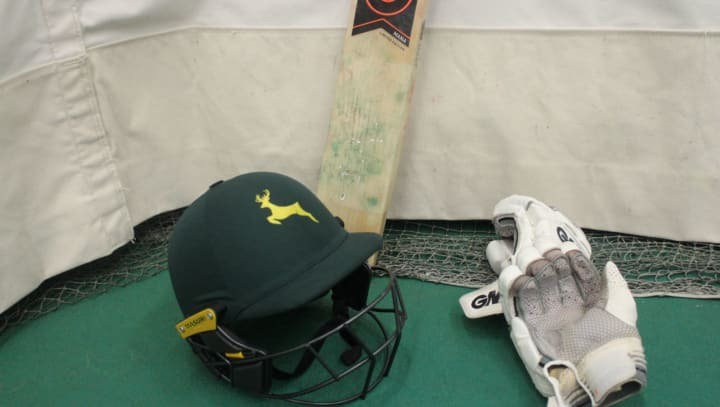 Budinger eventually fell for a 109-ball 134, including a staggering 102 runs in boundaries (15 fours, seven sixes) before Nottinghamshire declared on 290-8. In response, Lincolnshire opened up with former Nottinghamshire prospect Tom Keast who had raced to 30 off 27 balls before he was captain James’ first victim, caught by wicketkeeper Sam Hall. James added Keast’s opening partner Harry Franklin to his haul shortly after before Ben Coddington (38) and Bilal Shafayat (21), another familiar face for Nottinghamshire fans, made starts but couldn’t kick on. They fell to Patterson-White and Ishraj Jandu respectively as Lincolnshire closed the opening day on 138-4 with Matt Carter also getting through six overs on his return from injury.